Join us for a week long expedition in search of the BIG 5 at both, the Hluhluwe-iMfolozi Game Reserve and Bonamanzi Game Reserve. 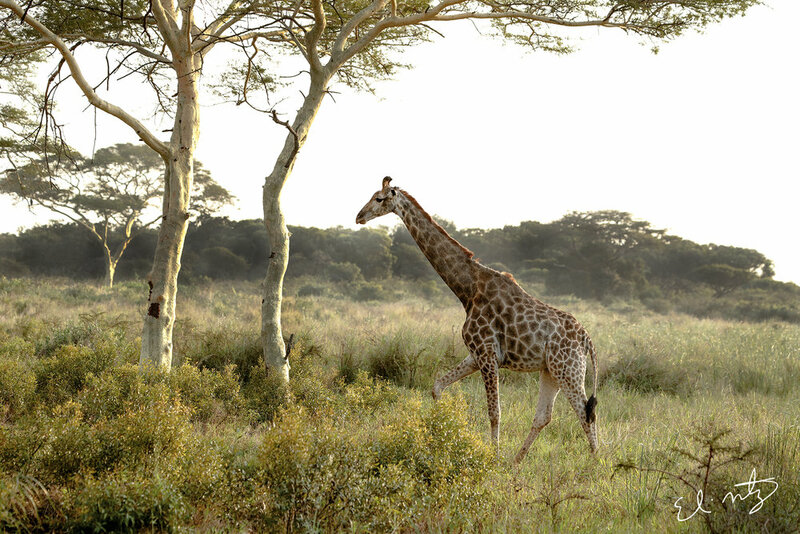 The Hluhluwe-iMfolozi Game Reserve is the oldest game reserve in Africa, and one of the most important game sanctuaries in the world. 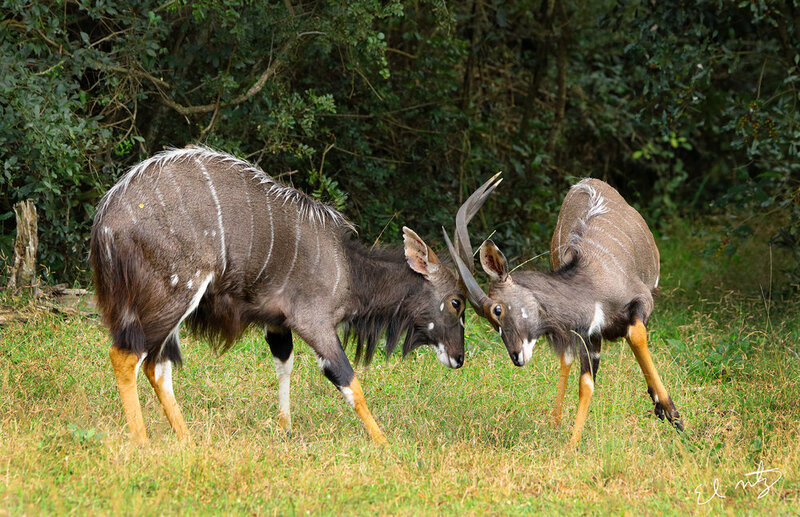 This reserve is famous for its rhinoceros conservation work. 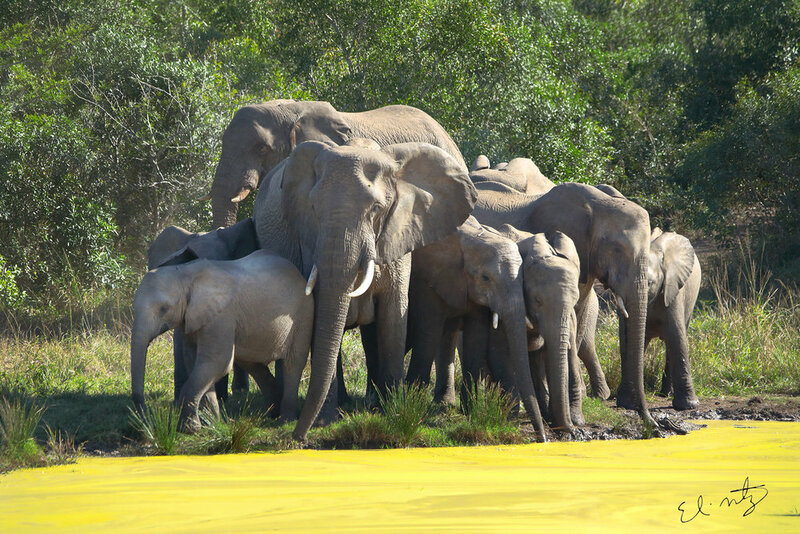 Bonamanzi is a privately owned Game Reserve, with the Hluhluwe River forming the Eastern border. Proclaimed a Natural Heritage Site in 1995 in recognition of the biodiversity of the Reserve, they offer Sand Forests, Savanna & Wetland Areas. 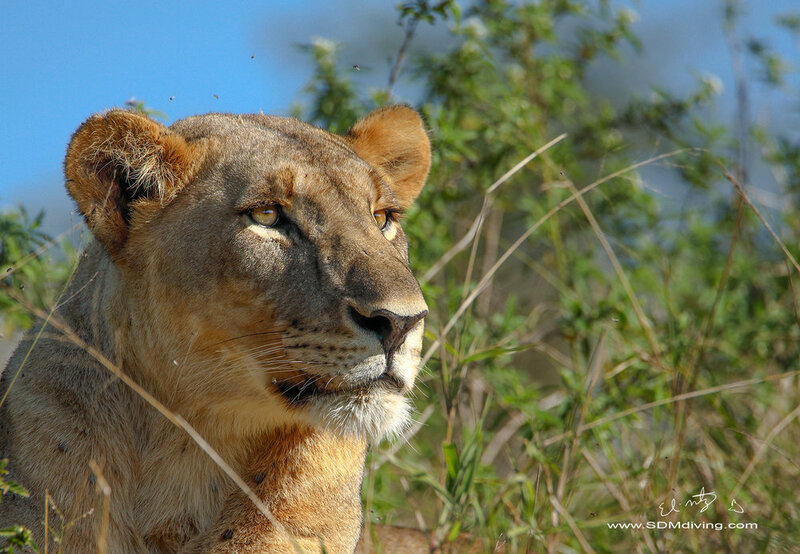 For 5 days we will take you out on privately guided safaris in search of elephants, lions, rhinoceros, buffalo, cheetahs, leopards, nile crocodiles, hippos, wild dogs, and much, much more. These trips are designed for up close and personal photo opportunites. Day 1 - We pick you up at the Durban International Airport (DUR), and drive you 3 hours to the Bonamanzi Game Reserve, which is where we will be staying during our time here. Bonamanzi Game Reserve offers rustic, self-catering tree houses, all air-conditioned, complete with en-suite bathrooms, a fully equipped kitchen, braai area and veranda. 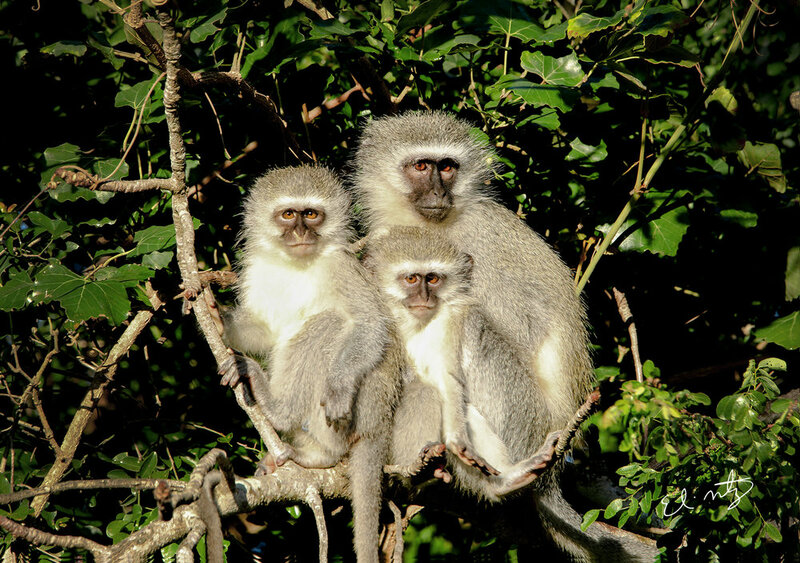 Day 2 - We meet up with our guide at 6:30AM and head out in search of wildlife at Bonamanzi. 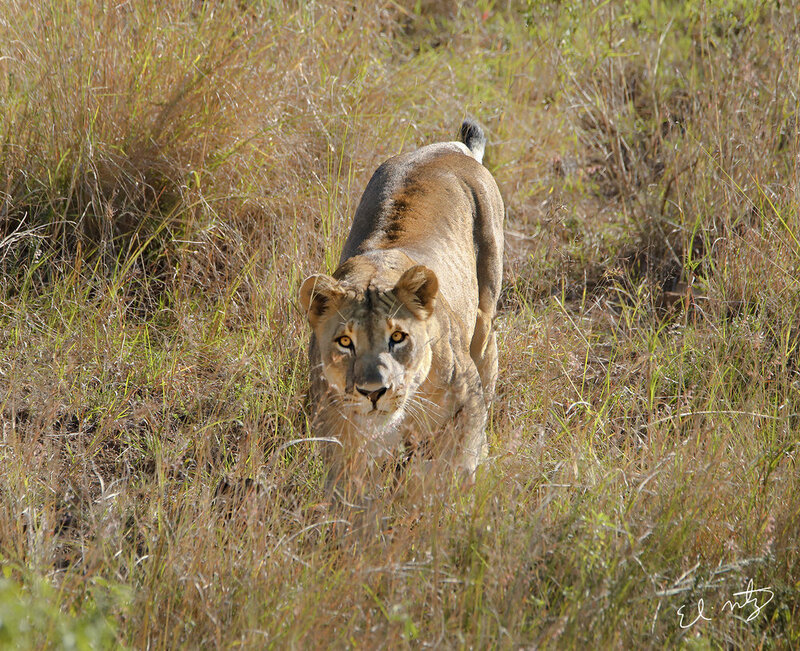 Bonamazi game reserve is a Big 4 park, no lions. We will be seeking out, close up encounters with elephants, buffalo, rhinoceros, giraffes, wildebeests, nyalas, zebras, leopards, and monkeys. Here we will also seek out bird species, as Bonamazi is recognized as one of the best birding destinations in Southern Africa. We break for lunch, then at 3PM we will again head out for an afternoon safari to search for more wildlife. We will stay out to watch the sunset, hopefully with zebras or impalas grazing nearby and say good night to our first day in the wilds of Africa. Day 3 - This morning we again meet up with our guide at 6:30 and head out to the Hluhluwe-iMfolozi Game Reserve. Today we will spend 6 hours seeking out wildlife. Hluhluwe is a Big 5 park, with a healthy elephant and rhinoceros population. 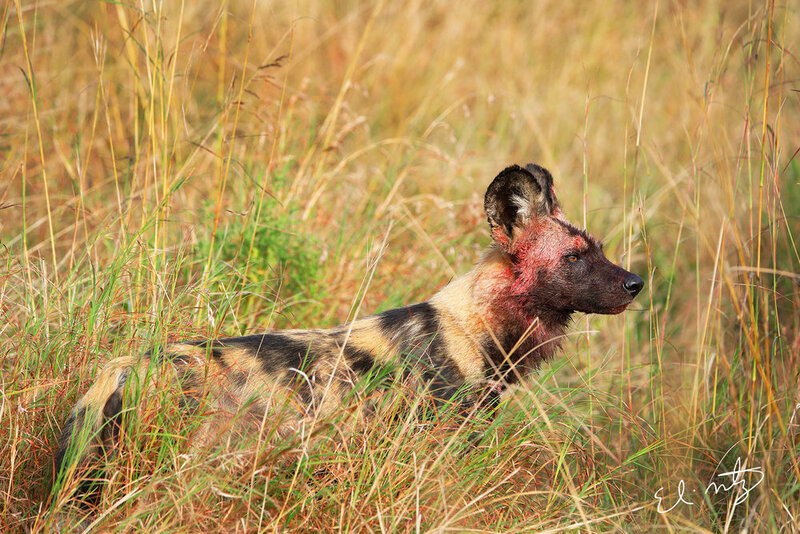 We will also seek out prides of lions as well as wild dogs. The park is celebrated for their white and black rhinoceros recovery work. 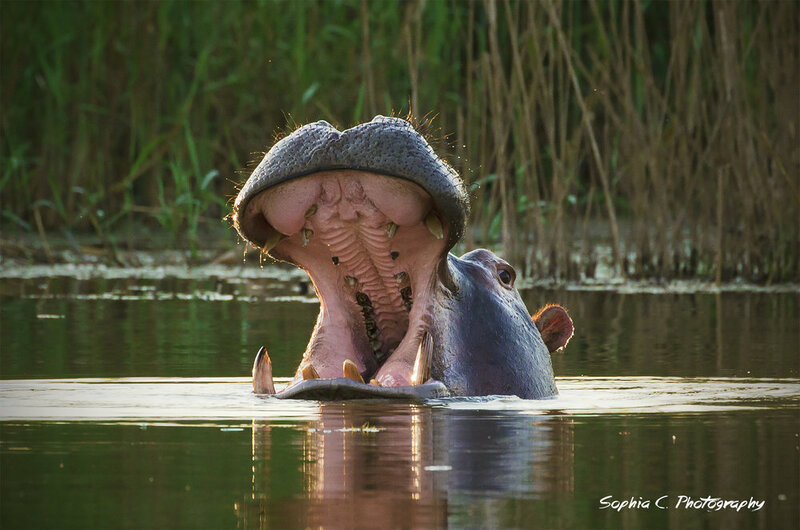 Day 3 Continues - We will return to Bonamanzi at 1PM, rest for a couple of hours, then at 3PM we will head out in a private skiff on the Hluhluwe River to seek out hippos to photograph. there are also opportunities to encounter, monitor lizards, crocodiles and a diversity of water birds. We will watch the sunset on the river then return you back to your lodge to clean up for dinner. Day 4 - 6:30AM, we return to Hluhluwe-iMfolozi Game Reserve and spend another 6 hours seeking out wildlife. We will return to Bonamanzi at 1PM, rest for a few hours then prep for a night game drive at Bonamanzi, seeking out leopards, bush babies and other wildlife that is active during the night. Day 5 - 6:30AM, we return to Hluhluwe-iMfolozi Game Reserve and spend another 6 hours seeking out wildlife. We will return at 1 PM, rest for a few hours, then visit the river at Bonamanzi to feed the wild Nile crocodiles a snack that live in the river and call the reserve home. These crocodiles are massive and come in extremely close for fantastic photo opportunities. Day 6 - This is our final day of safari and we will again spend it at Hluhluwe-iMfolozi Game Reserve seeking out the amazing wildlife here. In the evening for our final dinner we will enjoy a Braai (barbeque dinner), over looking a specular view of the ocean. Day 7 - We will leave Bonamanzi at 7AM and return you to Durban International airport for your journey home. Thank you for your interest in our African Safari. We will send you more information on this trip.